For those unfamiliar with the world of Eastern Medicine, hearing the term “Chinese Herbs” probably conjures images of a mysterious hocus pocus, brewed into a less-than-great tasting tea. 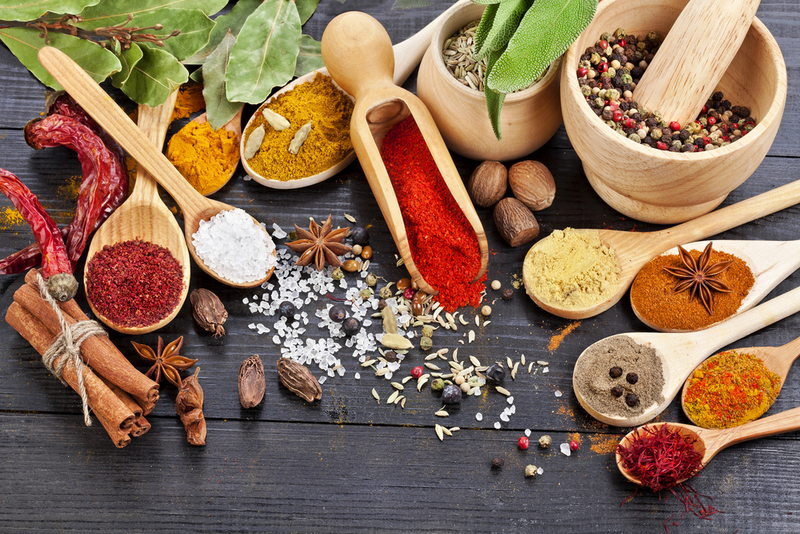 What you may not know is that they consider some of the familiar spices in your very own cupboard to have medicinal properties. Or how we Acupuncturists like to refer to it as, Rou Gui, is an acrid, sweet, and hot herb in nature. As you could probably tell from tasting it, it has extremely warming qualities and promotes healthy blood flow! Cinnamon bark in herbal dosages can have positive affects on the "yang" energy of the kidneys and the spleen. The more popular portion of the cinnamon plant is the twig. Gui Zhi is is added in many herbal formulas to assist the immune system in combating those stubborn winter colds. My personal favorite, this versatile, spicy root has numerous benefits. Apart from being well known as an antibacterial and analgesic, it can help with some more severe medical symptoms. In TCM, dried ginger (Gan Jiang), differs slightly in the qualities of fresh ginger (Sheng Jiang). While both of them are acrid, the dried form is considered hot, and the fresh form is warm. Squeeze in one whole lemon. Add in a few tablespoons of raw honey. Optional: 4-5 drops of oregano oil to really kick that cold out. Optional: 1-2 oz. of apple cider vinegar. Nutmeg, (Rou Dou Kou), like it's fellow fall spices it is acrid, drying and warm. The prepared, roasted nutmeg seed provides a unique astringent quality for your insides. In herbal usages, it focus directly on the digestive system. It also has a strong analgesic affect, making it great for stomach aches. What symptoms are helped by Rou Dou Kou? ***Roasting removes the toxicity of nutmeg. Ingestion of the powdered, unprocessed herb can cause nausea, vertigo, hallucinations and more severe side effects. You either love them or hate them. In the baking world, a little goes a long way, the same is said when applying them to Chinese Medicine. 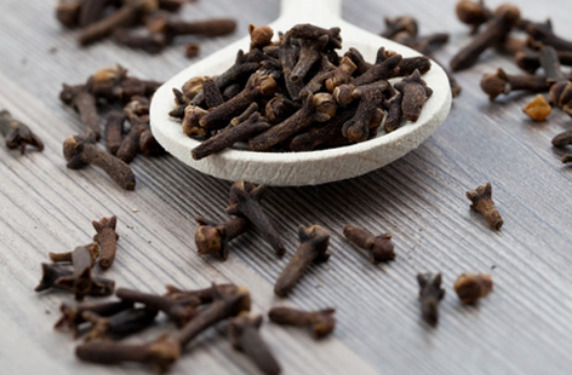 The spicy, warming quality of Cloves, (Ding Xiang), translate directly into the way they can help our bodies. Also known as, Bai Dou Kou, promotes healthy movement of "qi", or energy, throughout your body. Aside from it being a delicious spice commonly found in curry, it's warming, aromatic nature makes it excellent for indigestion after overindulging. *I love putting cardamom seeds or powder in my coconut and banana based smoothies! Yi Zhi Ren, the bitter-seeded cardamom, can be given to patients who find themselves urinating a little more frequently than normal. By increasing the kidney and spleen energy in your body, it helps normalize basic bodily functions. ***Always consult a licensed Acupuncturist or Herbalist before taking herbal formulas to make sure it's right for your body. Cinnamon, ginger, cloves, nutmeg, coriander, and cardamom all have drying and warming affects on the body. Did you know that adding them to certain dishes actually helps your body digest better? 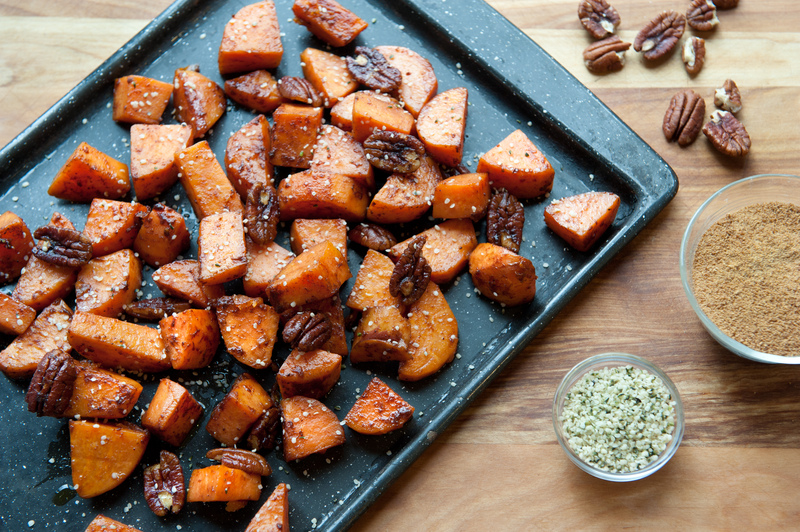 The pairing of these spices with typical fall foods taste good to us for a reason! It's natures way of telling us what we need.